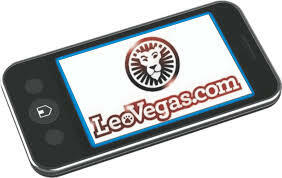 LeoVegas is one of the fastest mobile casino apps we have seen so far. This Swedish casino is a relatively new player on the market, but a real addition in our opinion. 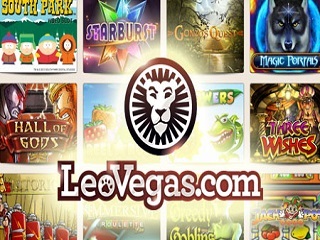 With the LeoVegas app you are able to play all type of casino games for real money. We are talking about slots, poker, roulette, blackjack and bingo. And mostly different variations, for example you can choose between European or American Roulette, multiple types of Blackjack and Poker games, and with well over 200 types of slot machines, there is a lot to choose from and you will not get bored easily. The only thing missing would be sports betting. At this moment betting on sports is not possible at LeoVegas. But if it’s casino games that you’re looking for, this app definitely offers players the full package. As we’ve mentioned, loading time is fast, making it fun and easy to play on your smartphone. Whether you are at home or on the road. The app’s interface is easy to use and what we would call “clean”; navigating through the various casino games isn’t hard, even when you are relatively new to playing on your mobile Phone or tablet. Another aspect of easiness is that they provide in a very comfortable payment and withdrawal system. They have fast pay outs so you can enjoy possible winnings soon. Deposit methods include Mastercard, Visa, Trustly, Neteller, Skrill and Paysafecard. 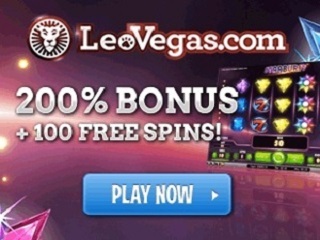 LeoVegas offers new players a welcome bonus up to €/$ 1000, and 200 free spins on none of their popular video slots. At the moment that would be the Starburst slot. But maybe the free spins promo will be for the South Park Reel Chaos one armed bandit soon. Registration is easy and safe, however players form the USA are not accepted due to legislation in the US.